Rihanna has reportedly already introduced Karim Benzema to her family. Speculation is rife the 27-year-old Barbadian songstress struck up a romance with the professional football player several weeks ago. But apparently Rihanna is not at all interested in approaching the romance slowly, as it’s claimed Karim was recently introduced to her closest relatives. It is rumoured both Rihanna’s relatives and Karim’s nearest and dearest booked rooms in swanky Los Angeles hotels for an entire week from June 8. Loved ones supposedly enjoyed VIP treatment at the Andaz Hotel and the Mondrian Hotel in West Hollywood, which are located just down the street from each other. Apparently Karim, who is a striker for Spanish club Real Madrid, did everything in his power to impress Rihanna with romantic gestures, including buying a bouquet of red roses for her from a street vendor. “They had a blast just relaxing and partying together with everyone,” the source detailed. The pair were first spotted out and about together in New York City earlier this month, having stopped for a bite to eat at Coppelia Cuban diner in the early hours of the morning. 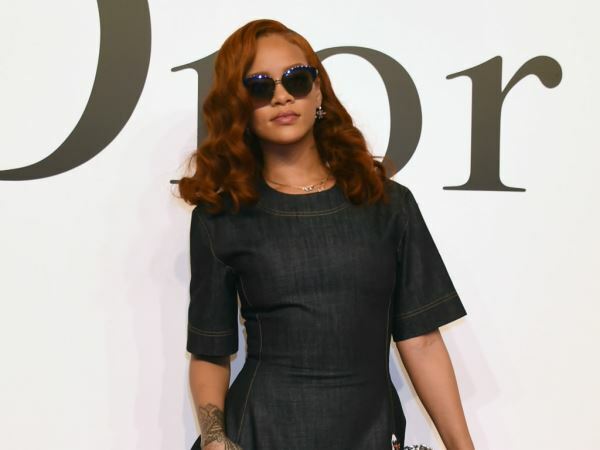 An alleged onlooker told People magazine Rihanna and Karim were also “cuddling” with each other at a Fetty Wap concert in Los Angeles last week. Rihanna has had a number of high-profile relationships in the past, having previously romanced Chris Brown, Drake and professional baseball player Matt Kemp.